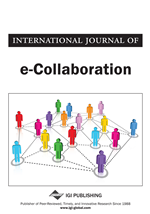 We report on an empirical investigation of the internationalization of an online community of practice situated in academe and which fosters among its members communication and collaboration. Attracting additional active participants throughout the world is an important goal for many online professional communities. Based on theories and findings in the innovation diffusion and international business literature, we propose that cultural distance has significant negative effects on the activity of an online community encompassing different countries, while economic conditions will moderate this negative impact. An empirical study based on the archival data from AIS-ISWorld, an online community of information systems academics, supports our central hypotheses.